Driving drowsy is a huge problem around the holidays. WASHINGTON – The great holiday getaway has already begun. By Wednesday, a lot of the folks hitting the road will be loading the kids in the car way before dawn, and far too many will be driving drowsy. 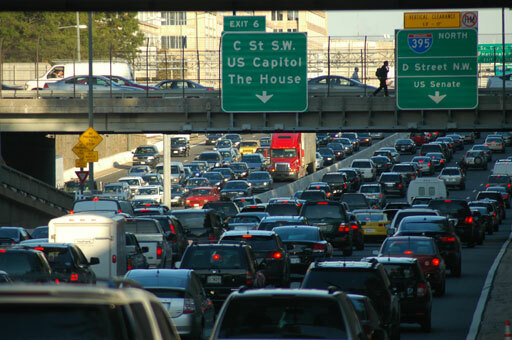 It is a huge problem around the holidays, when many people are already stressed-out and sleep-deprived says WTOP Director of Traffic Operations Jim Battagliese. “When people are trying to get out of town, get to their families in the distant northeast, we see that a lot,” Battagliese says. The National Highway Traffic Safety Administration estimates that drowsy driving causes more than 100,000 crashes a year and claims about 1,550 lives. Hard numbers are tough to come by, in large part because drowsy driving is under-reported as the cause of accidents. Still, there is no denying the danger. Medical Director of Integrated Sleep Services of Northern Virginia Dr. Neal Maru says the key to roadway safety over the holidays is to get enough sleep. He says loading the kids in the car for a long drive between 2 a.m. and 4 a.m. — the hours when most people experience deep sleep — is potentially risky. He says it is really important to plan ahead, split the driving among passengers whenever possible and take regular breaks. “Certainly, stopping every hundred miles or every couple of hours to get out of the car, to stretch, to get a snack, to get some caffeine, can also help combat fatigue,” Maru says. Maru advises drivers watch out for the danger signs of fatigue: yawning, irritability, loss of concentration or even losing track of driving the last few miles. Pull over to a rest stop and take a 15- to 20-minute power nap. One final tip: Keep the car heater on low. “Creating a cooler environment helps us stay awake,” Maru adds.